Hard Grind, a barbers in Exchange Street, Dundee, offers a counselling service where the trained councellors (who are also barbers) chat to clients whilst getting their hair cut. Today is World Suicide Prevention Day, and barbers across Scotland are encouraging more men to open up while getting a short back and sides. Paisley barber Davie Walker says the close bond and trust between barbers and their clients puts them in a unique position to help. “Men seem to trust their barber more, and will visit their barber more frequently than their own doctor,” he said. “Men go to the same barber. I’ll see a client several times a month and over time, you get to know them. “I’m always asking people 101 questions about their life and can easily draw a conversation out of them. I’ve found men will tell me things they might not even tell their best friend or partners.” His shop, Davie The Barber, is part of The Lions Barber Collective, a network of barber shops across the UK that aims to raise awareness of men’s mental health. Founded four years ago by Tom Chapman, the charity helps barbers and hairdressers become unlikely allies in cutting down the number of men battling with their mental health. Of the 30 clients Davie will have on a given day, at least five will want to chat about their mental health – with anxiety being the most common. Davie, 36, has had anxiety and panic attacks since he was 16. Still on medication, he recalls having breakdowns in work and having to feign a pulled back muscle when he’s been close to collapsing. But it means he can emphasise with his customers. He said: “People are shocked when I tell them but sharing my own experiences helps men realise they’re not alone. Things like anxiety and depression can quickly escalate. Another Scottish member of The Lions Collective is Hard Grind Barber Shop in Dundee, owned by Colin Petrie, which also works with See Me Scotland. 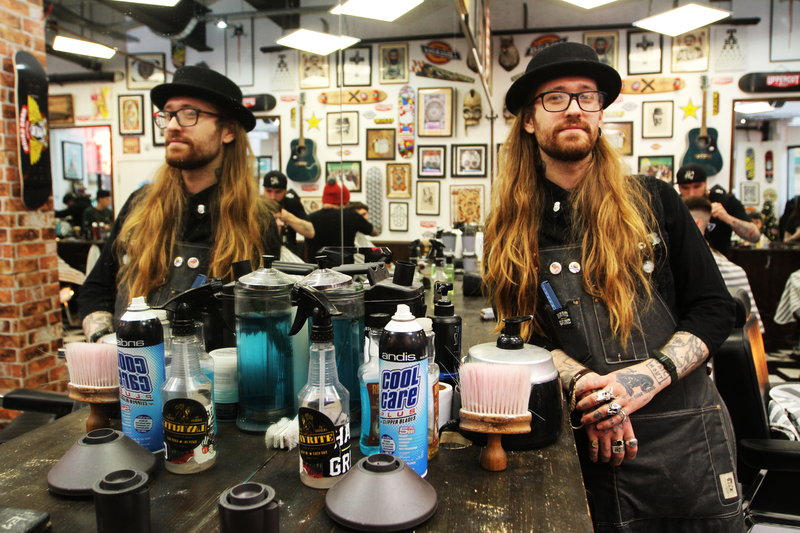 Head barber Vincent Quinn said: “I’ve noticed more men come to us about their mental health since we’ve been openly campaigning and raising awareness with The Lions Collective and with See Me.